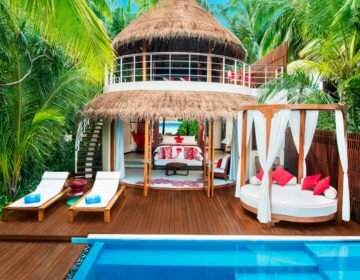 An island vacation ascertains one thing: a lot of outdoor water sports from swimming and snorkeling to surfing all of which requires a protective sunscreen from the sun’s harsh UV rays. But are we using sunscreens wisely? Could they harm our oceans and even our skin? It is estimated that 10% of the world’s coral reefs are at risk of bleaching due to sunscreen wash-off. Every year between 6,000 and 14,000 tons of sunscreen washes off into the sea. It not only accelerates coral bleaching, but it is also toxic to other marine creatures like dolphins, lobsters, and sea urchins. Growing evidence from different research institutes and experts have revealed that those found in chemical sunscreens specifically oxybenzone, among others, might be dangerous to wildlife. Craig Downs, Ph.D., a forensic eco-toxicologist in Virginia USA stated that oxybenzone, besides acting as an endocrine disruptor; can damage coral DNA and even lead to what Downs calls “reef zombies” or corals that look, “healthy, but are actually sterile and dead – so they cannot reproduce.” This form of UV absorption can also contribute to control bleaching. 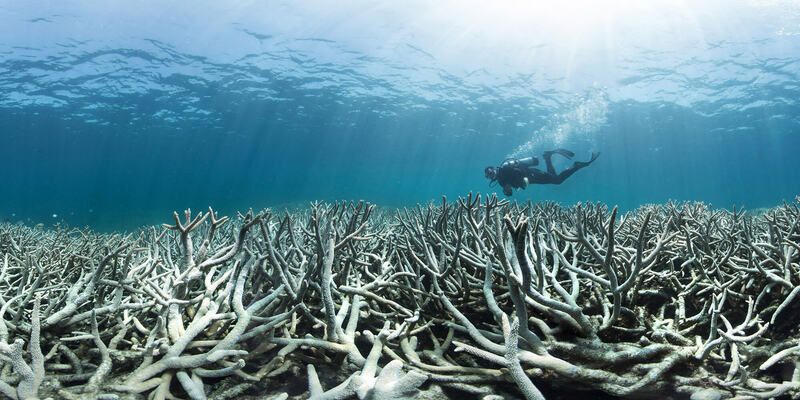 In Downs’ research, he found that once the reefs die, they do not come back, and they eventually crumble to dust. Numerous factors are impacting marine life beyond sunscreen, such as climate change. But the rapid decline of reefs has become an apparent global issue that is evident from the South Pacific to the Indian Ocean. 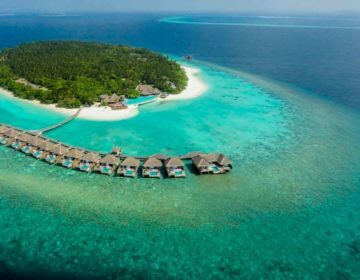 Some of the worst-hit areas include Seychelles and the Maldives, where up to 90% of the reefs have been killed due to coral bleaching. For such small archipelagos that depend on tourism, coral bleaching not only proves detrimental for the environment but for their economies too. A deceptively harmless sunscreen not only contributes to coral bleaching, but worrisome ingredients found in the such as a form of vitamin A called retinyl palmitate might accelerate the growth of skin tumors. In addition to being harmful to corals, oxybenzone can cause human hormone disruption. 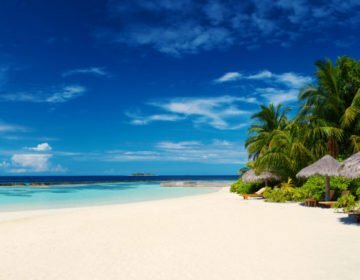 Some states like Hawaii have gone as far as to ban products with oxybenzone and other threatening chemicals from its eco-reserves. 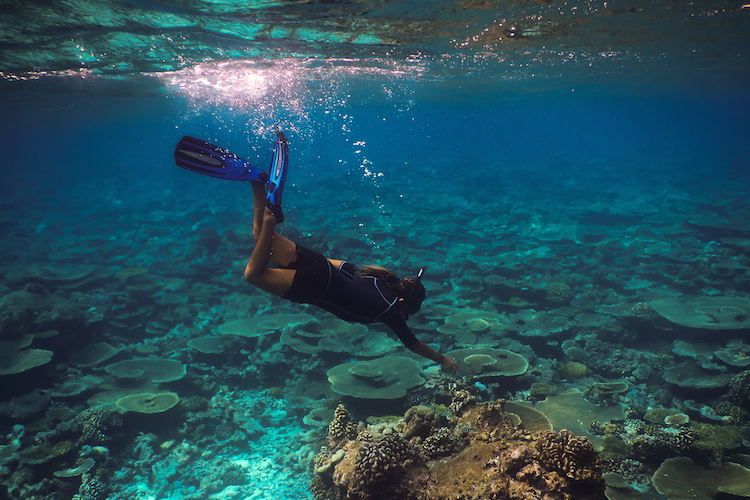 So, what can we do to prevent reef destruction and protect our skin at the same time? Did you know that the toxic compound oxybenzone is found in over 3,500 sunscreens worldwide? Other highly poisonous ingredients include preservatives like parabens, octocrylene, and octinoxate. These are found in lower concentrations but are even more toxic than oxybenzone. Today, several eco-conscious companies are formulating effective sunscreens that are less detrimental to the environment. Brands that are praised for their sunblocks include Stream2Sea, Manda Badger, and All Good. 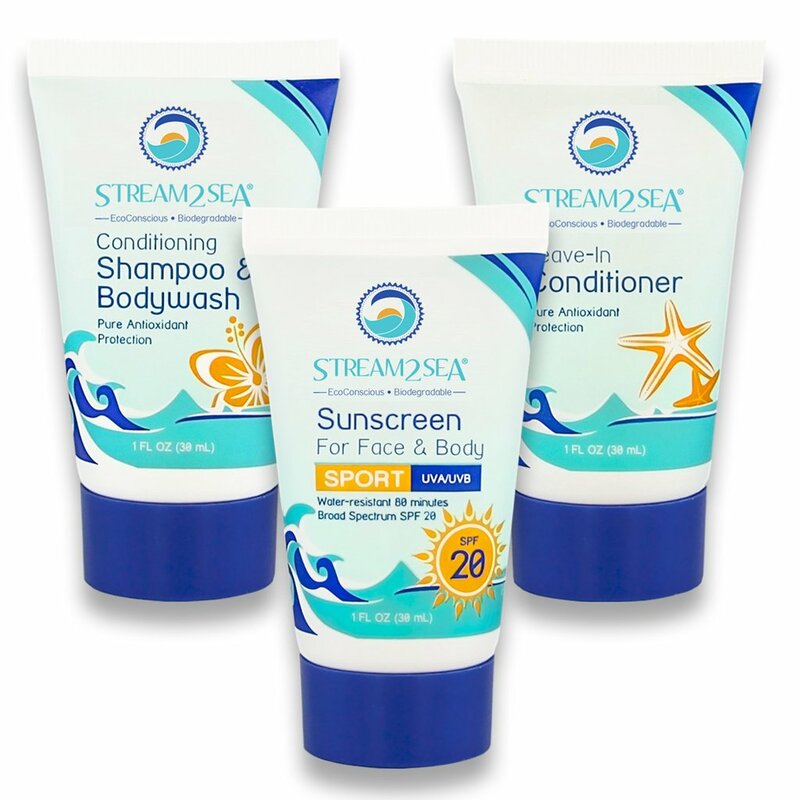 Autumn Blum, a cosmetic chemist and certified diver who founded Stream2Sea says that her sunscreens feature non-nano titanium dioxide coated with alumina “because of its exceptional stability and safety.” She avoided nano-sized particles and clear zinc technologies that could potentially be toxic to aquatic species. 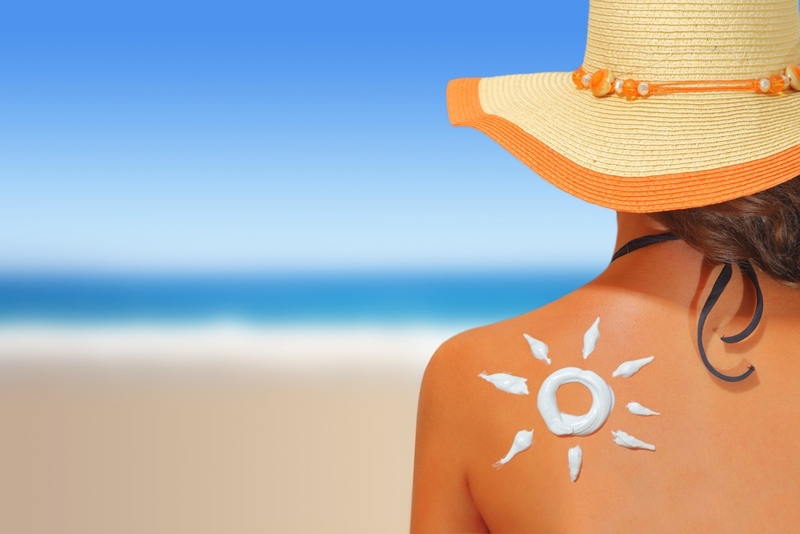 It is ideal to find out what went into the sunscreen you are about to use. Choose the simple and straight forward formulas found in chemical and organic sunscreens. Plant-based oils such as eucalyptus and lavender added to the sunscreens can be threatening to invertebrates like anemones and jellyfish. Some ingredients like beeswax found in sunscreens can contain industrial insecticides that when emulsified in beauty products, can unleash these chemicals on your skin and in the water. An SPF spray might seem like a convenient option, but they tend to stick to the sand more than your skin. Additional contamination can happen when the chemical seeps into the tide, eventually covering the sand with it. Instead of sprays, go for SPF lotions and rub them in as this helps the product last longer on your skin. Ellen Marmur, a dermatologist from Manhattan, advises being strategic about how you apply it. The key areas are to rub it in are your neck, ears, hands, and legs. According to her, these are the most common parts where malignant melanoma are found in women. After applying your sun-protective creams, make sure to cover the rest of your body with a long-sleeved rash guard. Marmur suggests that a rash guard or sun shirt with a UV protective fabric of 50 plus is essential. If you are looking for a good quality rash guard, then turn to surfers who have the most effective and best-looking gear. Some renowned sustainable surf brands include Patagonia and Kassia + Surf. Spending the entire day under the sun and in the water sounds like the perfect thing to do but seeking shade for the midday hours from 11:00 am to 2:00 pm is best for your skin. This also helps to cut down on the amount of sunscreen that ends up in the ocean.